The voltage and torque constant is similar to the ME0709, but the ME0913 is more powerful. 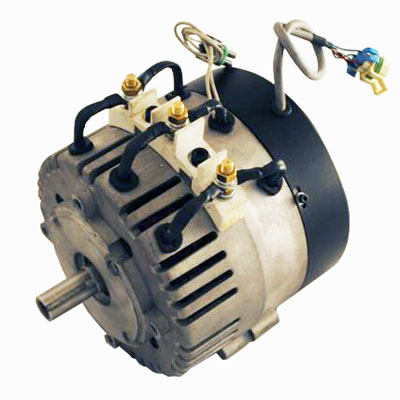 The ME0913 motor is capable of 12 KW at 72 VDC (125 amps continuous), and 30 KW peak. 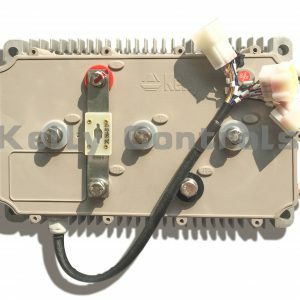 It can be used on 96V system. Kelly KLS72701-8080I controller perfectly match with this motor. of 125 amps AC (180 Amps DC into the motor control). electrical timing. It has two stators with a rotor in the center. 1) This is a 4 pole motor (8 magnets). 2) The Phase to Phase winding resistance is 0.013 Ohms. 3) The maximum recommended rotor speed is 5000 RPM. 4) Voltages from 0 to 96 VDC input to the control. 6) The Inductance Phase to Phase is 0.10 Milli-Henry with a 28 turns per phase. 7) Armature Inertia is 45 Kg Cm Squared. 8) Continuous current of 125 Amps AC (180 Amps DC into the motor control). 9) Peak current of 420 Amps AC for 1 minute (600 Amps DC into the motor control). 10) Weight of 35 pounds. 11) Peak Stall Torque if 90 Nm. 12) This is an Open Frame, Fan Cooled motor.